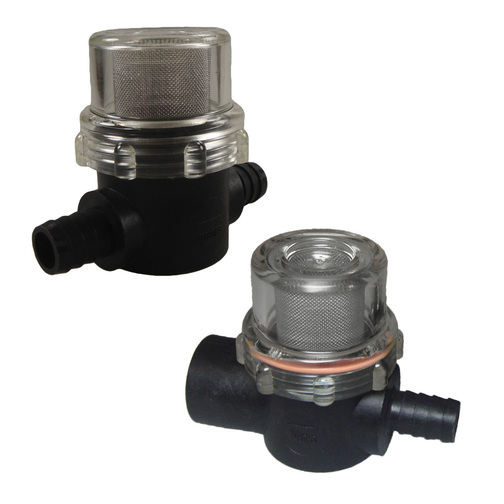 Shurflo inline strainer with clear body design for inspection to help protect pressurised water systems from foreign matter. 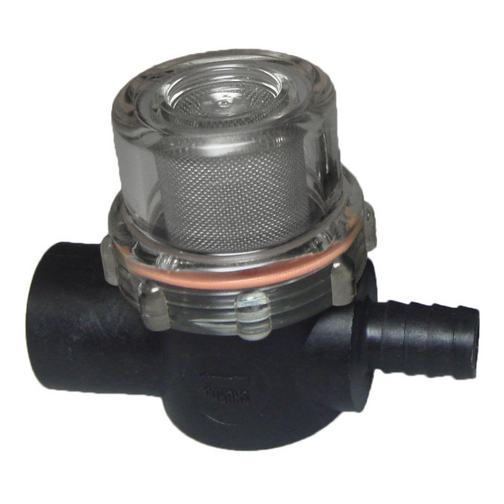 Shurflo inline strainer with clear body inspection to help protect pressurised water system from foreign matter in the system. The Shurflo inline strainer has 1/2" (13mm) hosetail connectors and either a 1/2" BSP thread or a 1/2" Hostail on the other side of the strainer. 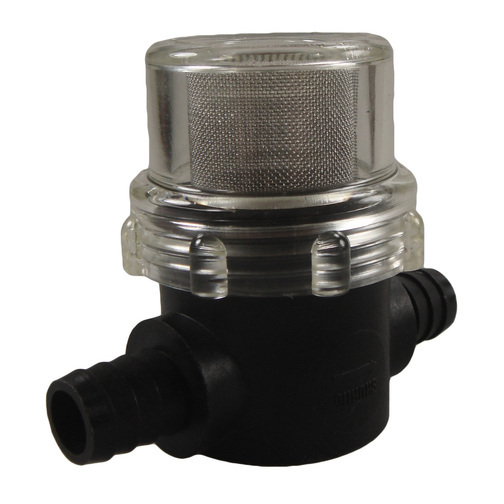 This water strainer is also equipped with a stainless steel internal gauze designed to prevent debris in the water system entering the water pump. The transparent body design allows for quick visual checking.